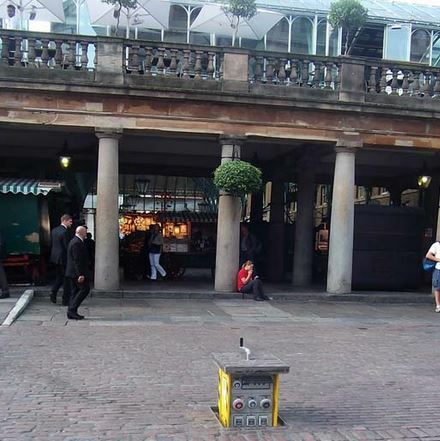 Pop Up Power Supplies® recently supplied six retractable service power units for installation in the Piazza at Covent Garden. The 450kg units are buried out of site beneath the famous cobbled piazza and are raised out of the ground when required by a turning handle. When not in use the units do not impact on the historic appearance of the Piazza as they are barely noticeable. Covent Garden Technical Services Team needed a power solution for temporary stalls and events that are put on throughout the year. 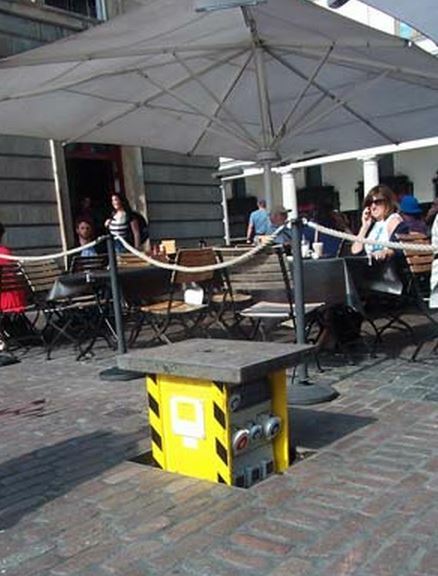 The solution was Pop Up Power® retractable service units located near to the Transport Museum and next to the Portico of St Paul’s Church in the Piazza. The Covent Garden Services team staff now has access to a combination of 16A and 32A sockets in both single and three phase all with RCBO protection. Pop Up Power® also supply electricity through Inground Units with flip top lids and Bollards in a variety of designs to suit the surroundings. For more information please visit www.popuppower.co.uk or call 02085518363 / 02082270208. The 35 Collection from Landscape Forms grows with a new generation of high performance products.